It's no mystery that project managers can make a pretty penny helping companies big and small cut costs and boost efficiency. But, despite the demand, you'll have a hard time getting your foot in the door if you're not carrying the appropriate certifications. There are a host of project management methodologies you can get certified in, and among the most popular is Six Sigma. With the Official Six Sigma Training and Certification Bundle, you can train to validate your project management knowledge, and it's on sale for $49.99 in the Boing Boing Store. For the uninitiated, Six Sigma is divided up into three tiers: yellow belt, green belt, and black belt. This three-course collection will familiarize you with the concepts and techniques taught at each level and show you how to eliminate errors in a business process, reduce costs, and ultimately boost revenue. Once you complete the entire training, you'll be ready to sit for each certification exam and move one step closer to a career in project management. 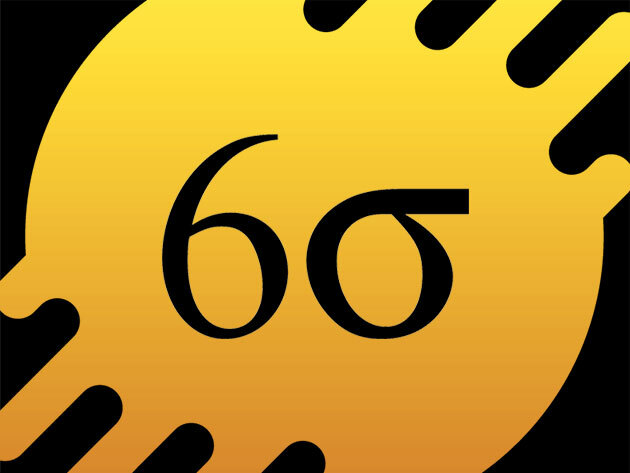 Now, you can pick up the Official Six Sigma Training & Certification Bundle on sale for $49.99 in the Boing Boing Store.